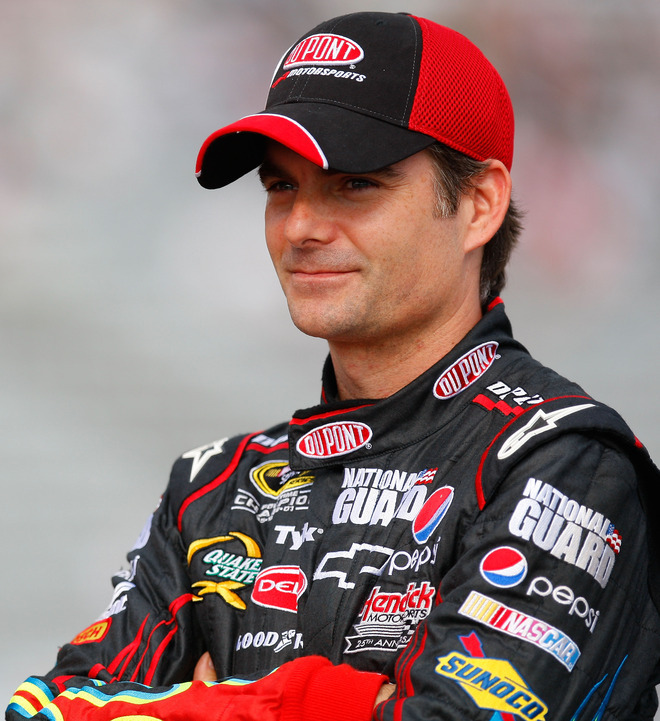 September 7 – – Jeff Gordon battled handling issues throughout the Pep Boys 500 at Atlanta Motor Speedway en route to an 8th place finish. 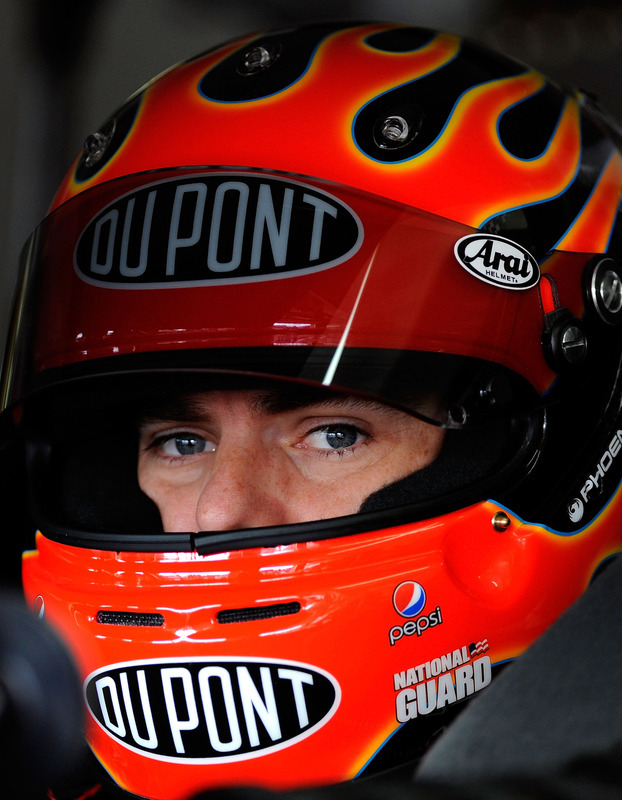 He moved up to 2nd in points heading to Richmond — the final race before the chase for the championship begins. Gordon started 4th and dropped to 6th within the first two laps before the tire pressures came up. On lap 6, he took the 5th position from Kurt Busch. He ran down Kyle Busch and moved into 4th a few laps later. 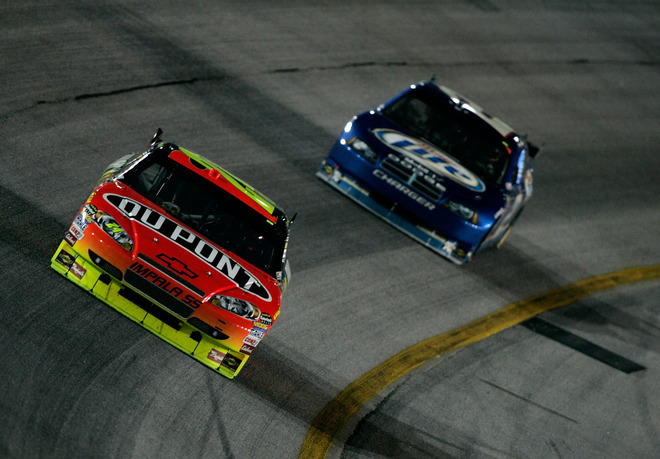 On lap 20, Gordon took 3rd from Jimmie Johnson. The first caution came on lap 37 for Sam Hornish’s spin, which allowed the drivers to come in for adjustments. Gordon, like all of his peers, dealt with handling issues during the opening run. He came onto pit road in 3rd place and departed in the same position. He took 2nd place for Kasey Kahne within two laps of the restart before falling back to 4th after getting loose in turn two. On lap 48, he dropped back as Johnson and Denny Hamlin passed, and Mark Martin took a spot on lap 49. 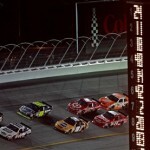 Gordon fell to 9th on lap 50 as Tony Stewart and Kurt Busch went by. Gordon fell to 16th on lap 60 battling a loose condition. 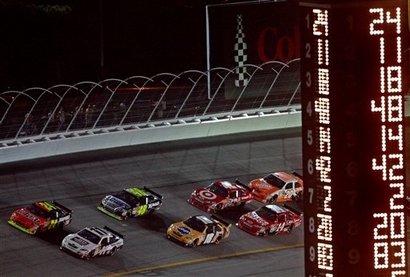 Sam Hornish’s second spin of the night brought out the caution and the leaders came to pit road. 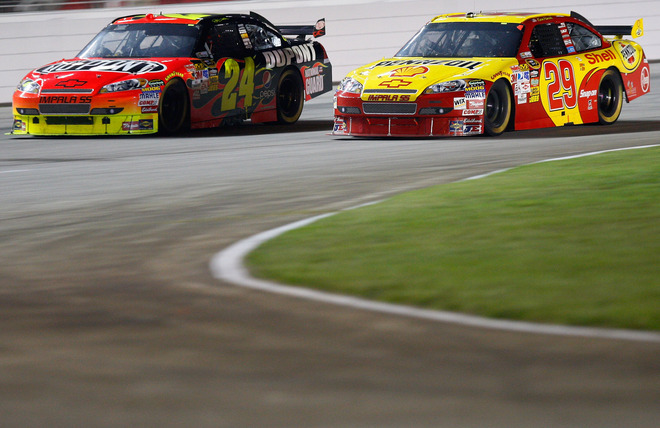 Gordon restarted in 16th place on lap 65. Within one lap of the restart, he used the outside line to move up to 11th. His forward momentum stalled and was back to 14th on lap 80. Carl Edwards’ engine problem on lap 83 slowed the field for a caution period. Gordon gained four spots on pit road to move up to 9th place for the restart. He pedaled up to 6th on lap 88 by taking advantage of Hamlin who spun the tires coming up to speed. 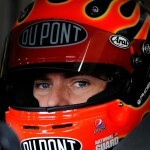 Gordon moved back into the top-5 with a pass on Kurt Busch on lap 89. Hamlin regrouped to take 5th on lap 91. Max Papis’ wall contact on lap 105 brought the caution out. 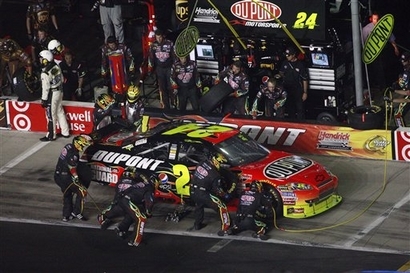 Gordon held 6th through the round of pit stops. On the restart, Gordon moved up to 4th on the outside line. He took 3rd from Martin Truex on lap 116, before Johnson pushed him back to 4th one lap later. He regrouped to take 3rd from Kyle Busch on lap 125. 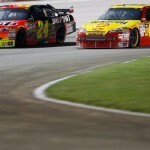 A debris caution slowed the field on lap 131 as Gordon complained about a loose handling condition. 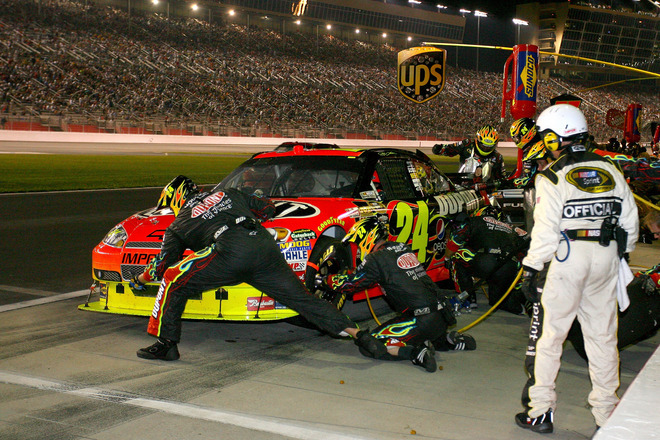 The pit crew turned a 12.7 second stop to push Gordon into the lead. He chose the outside line for the restart and dropped to 2nd as Hamlin got a strong run off turn two. Gordon went back to the front on lap 140 with a pass on Hamlin in turn one. 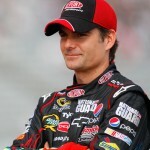 However, he slipped to 3rd on lap 167 after Hamlin and Kevin Harvick passed. Two laps later, Brian Vickers went around Gordon on the outside line. 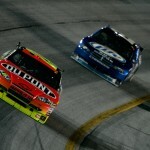 Dale Earnhardt Jr passed by on lap 176, and Mark Martin went by on lap 182. Gordon came in for a four-tire change on lap 189 under the green flag. Johnson’s spin on lap 201 brought the caution out with Gordon in 8th. He gained two spots during pit stops and restarted 6th on lap 204. Gordon moved to 2nd on the restart, but slipped back to 4th as the tire run continued. 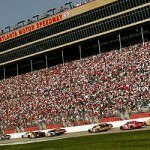 On lap 221, Earnhardt Jr and Martin passed to put Gordon back to 6th. 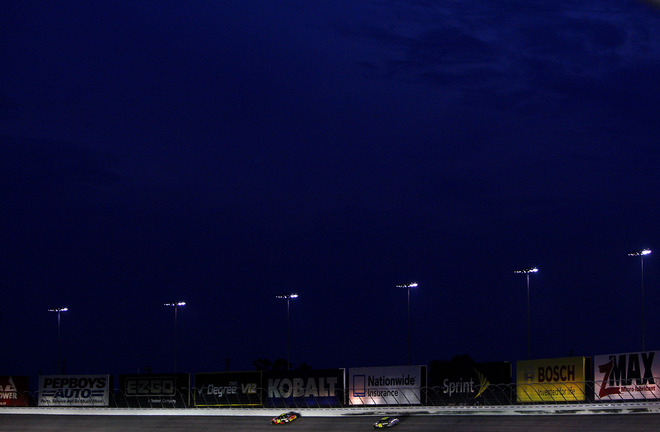 With 100 laps to go, Gordon ran in 8th while battling loose handling issues. A caution for Kurt Busch and Reed Sorensen’s crash brought the field to pit road. The pit crew once again did its job by gaining two spots. He moved to 4th on the restart with 72 laps to go. However, as was the case throughout the race, Gordon fell off as the run progressed. He dropped two spots back to 6th with 60 to go. Joey Logano’s spin with 57 to go brought the field back to the pit road. 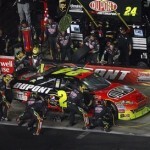 Gordon exited pit road in 11th place due to a dropped lugnut. He re-entered the top-10 with 47 laps to go, and took 9th from Kyle Busch four laps later. 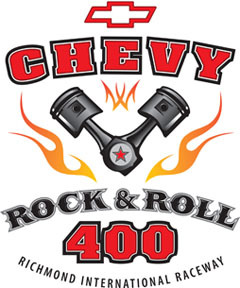 Brian Vickers took a position from Gordon with 29 to go, sending him back to 10th. Clint Bowyer’s spin with 16 to go set up some drama for the finish of the race. Gordon lost a position on pit road and restarted in 11th with 11 laps to go. He moved to 8th shortly after the restart but didn’t challenge Vickers for position. At the front of the field, Kasey Kahne took the lead from Kevin Harvick on the final restart to win his second race of the season. My apologies folks, for some reason the driver feeds went down for awhile and the middle of the race is missing. CLICK HERE to get to our race recap page with in-car audio clips.